The London borough of Redbridge incorporates some 1,733 streets. Redbridge at its widest point is 9.1 miles by 9.1 miles in length. Redbridge is a diverse borough with lush green spaces, sports facilities and bustling shopping centres. Though only seven miles from central London, it has a distinctly countryside feel with ancient Epping Forest falling within its boundaries. This 6000-acre wood boasts riverside trails, nature conservation areas, a watersports lake, two country parks and a number of other visitor attractions. Redbridge is a family-orientated borough with loads of sports pitches and children's play areas. Arts and entertainments programmes are wide-ranging, including an annual Redbridge Show, dance and literature festivals, exhibitions, concerts and tea dances. 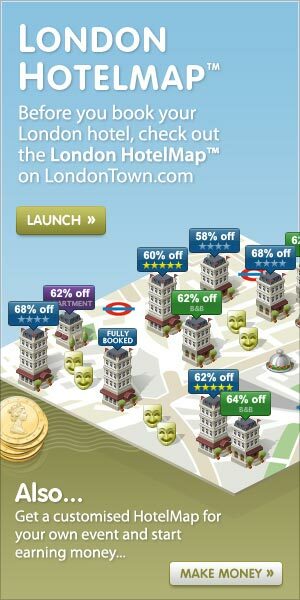 These 1,733 streets are home to over 135 LondonTown.com featured venues, which include 58 restaurants, 15 shops, 12 attractions, 2 clubs and pubs and 20 leisure venues. Narrow down your search by typing the street you want to find in 'Redbridge'. From cheap budget places to stay to luxury 5 star hotels see our deals for Redbridge hotels, including Holiday Inn Express London Excel from 76% off.